WE WERE NOT IMPORTANT ENOUGH IN 2017-18 - Despite all of the hot air about blue growth and marine litter, the Foundation was not contacted in 2017. In 2018 there was more speech making about EU & UK funding for blue growth with plastic said to be high on the agenda. This application cost the Foundation's administration around £10,000 in real terms - but it was worth it to learn of the "ranking" applied to ocean plastic. 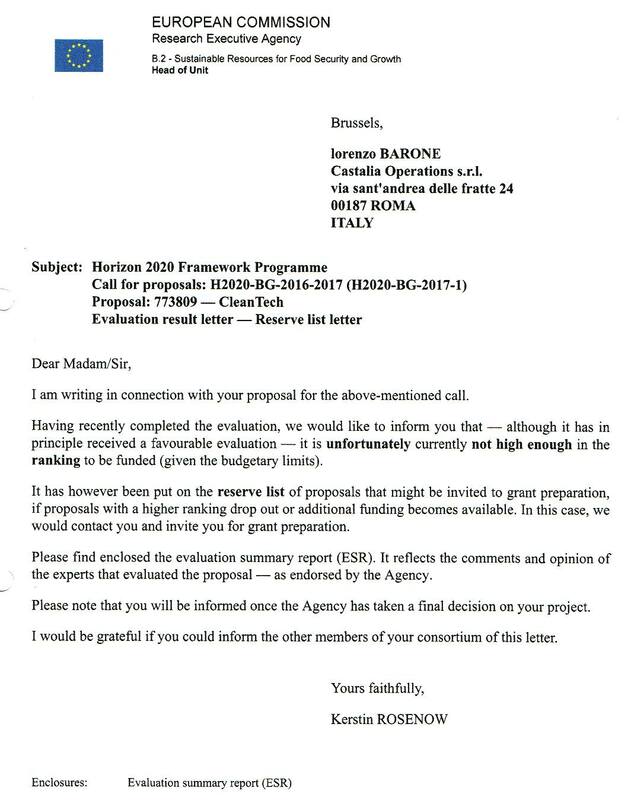 That was ten thousand pounds (paid by trustees) that could have been better spent on development, rather than road testing H2020. This was a leap of faith on our part not to be repeated, but we found out where our research is ranked by the European Commission - as just one example of why it is that the oceans are in the mess they are. Without lobbying and campaigning - such as with our ocean awareness projects - such governmental thinking is likely to continue. We believe in forward thinking straight talking, direct action and telling it like it is. Politicians thrive on vagaries, election promises and retrospective bail outs at the last minute - or as in this case - not doing very much when the damage is done. We are though grateful for their most recent efforts to reduce single use plastics - and hopefully they will now concentrate on recycling until it is near 100% efficient. At this time we do not have the manpower to spread our message to the influential decision makers around the world. We attend a few local events and undertake limited lobbying, but are not being taken seriously enough for politicians to want to help us clean the oceans. Somehow we need to find funds to have staff on call for high level briefings, to carry on our vital micro particle research and move forward with our clean energy harvesting for zero carbon workboats of the future. Our research is too new (as are we) and untested for angel investors and venture capitalists to think about loaning us $35 million + to get things moving on our ten year plan - and people who throw that kind of money around won’t even get out of bed for the $200,000 we need for our more containable project bites to get things started. Without a trading track record we are unlikely to score well with EU or UK technology calls that are designed to lever R&D money from existing big businesses. We will not be taken seriously, not until we already have a demonstrator - and by then we would not need their money - because by then we will have achieved our objective to show the world what is possible. You can help us cut to the chase with direct action to take the 'political slack' out of cleaning oceans and low carbon marine transport by funding us directly, rather than through a retroactive (ineffective) government taxation-trickle to good causes. What do you get in return? You get the satisfaction of knowing that somebody is doing something positive in the quest to keep our marine life healthier, and our oceans cleaner. The 'Cleaner Ocean Foundation' is a not for profit concern that is dedicated to ocean conservation and reducing climate change. We are also keen to promote a circular economy that is sustainable, where in principle good housekeeping means burning less fossil fuels that are causing global warming. 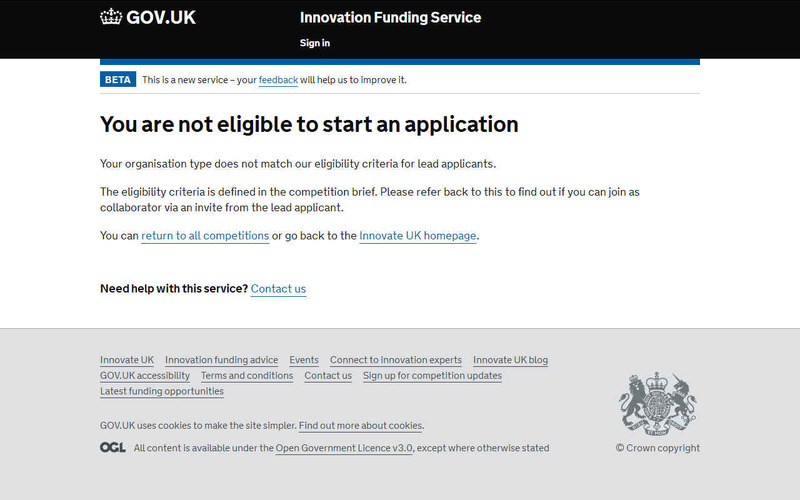 Generally, we do not qualify for Government grants. As a non-trading research organization we do not have profits from which we can carve a budget to make complex applications against Horizon 2020 calls, nor do we have financial or manpower reserves to build consortiums that are necessary for such EU grants (much as we like the idea of collaborative research and will need to engage with other research organizations and academics). In addition, Brexit added more complications for us and uncertainly to already iffy political procrastination. NOT ELIGIBLE - This was in connection with an application to work alone from a singe applicant. This is allowed by the Innovation Funding Service's published rules, but clearly not for profit research organisations may not undertake important development. We would ask under what circumstances another organisation would lead for a not for profit where there is no collaboration. Piffle! This is another example of how it is that urgently needed technological advances are blocked by policy makers. You can vote for direct action with people powered donations of any size that you might comfortably afford. One single £1 pound from your small change added to those of other concerned members of the public could add up to help us get a SeaVax coastal development rig in the water before the end of 2020. If that is not your cup of tea, then why not help us to educate your children with the release of an ocean cleaning game? Your money goes directly to the project you would like to see come to life as our calls for help go live. The more people who contribute, the quicker we move up the ladder to fully functional SeaVax like machines - and then - just like the game, we give that technology away to the rest of the world FOR FREE. Another reason venture capitalists and angels would steer clear: there are no profits from research aimed at social enterprise. goes live. We will only ask for contributions when we are ready for the next stage, having completed the previous stage(s), or nearing completion such that we need funds to go seamlessly from one module to another. The Heritage Lottery Fund is as limited in real terms as EU grants. Applications have to be for the local community. Cleaning the ocean and awareness campaigns will of course benefit the local community, but also everyone else around the coast and potentially those in other countries. Hence, such applications are likely to be refused on the basis of not being localized enough. This was one of the reasons given in an application in 2018. Another of our efforts to test the water, where £14 million pounds have been given to a local pier restoration at Hastings, but that is for heritage. There is no heritage angle in keeping our coasts clean apparently. The supermarket 'Plastic Bag Tax' is given to thousands of good causes that have nothing to do with plastic waste by many of the tax collectors, though a good sum went to beach cleaning from Waitrose. That may seem odd to you where a tax on pollution would be better spent tackling the pollution they are taxing, as in giving to plastic waste or pollution reduction projects. But that is the way that most retailers prioritize their dissipation of this tax on plastic. Something policy makers might care to think about. If you are going to tax something, why not make sure the tax is used to tackle the problem! Words fail us! For these reasons (generally) we are only able to undertake our projects with generous support from the pubic, though we hope that with gentle lobbying that the situation might change, such that we can set our sights higher, or that if we can no longer afford to operate, that another organization with similar aims and deeper pockets might take up the challenge. Political views and policy changes take a time to work through the system as readers will know from the time it has taken for the G20 to agree to tackle climate change - and still there is no plan as to how to do this that is decisive, leading to school strikes all over the world. The Global Ocean Commission was set up to look at pirate fishing and plastic pollution, but only recommended steps to prevent pirate fishing, with nothing on the table to clean up the plastic in our oceans. Though in Hamburg in 2017 the G20 did agree to work on reducing plastic use on land: a good start if they follow through. The good news is that most EU countries are making headway, so too India and China have stopped taking in plastic waste for processing. Fortunately, many members of the public care about a whole range of issues and support good ideas and product development, where those undertaking such tasks might not qualify for business loans, such as ourselves where as a not-for-profit we have no business plan to repay loans, as regular businesses would have. People who are prepared to back new ideas and good causes can do so via crowd funding. On this page we will feature our latest projects such that you might help us if you can. If you decide to help, please only give what you can comfortably afford. PLEASE HELP US - We took over SeaVax from Bluebird Marine Systems to add to our other projects to help combat plastic pollution in our oceans and tackle climate change with zero carbon ocean transport. Money was invented to replace the barter system, it is a means to an end, giving us the ability to put our campaigns into practice. Help us to develop new technology to clean up the mess we are making of our oceans, while at the same time raising public awareness of these important issues. In 2016, Bluebird Marine Systems were crowdfunded by Avaaz. Twelve months later that company, also working on a not-for-profit basis, built a water test tank, a robot lab, improved their prototyping capability, formulated an ocean awareness campaign, and prepared the ground for further crowdfunding where after an application for H2020 funding was unsuccessful in 2017 even after scoring 11 out of a possible 15 points. Bluebird Marine ceased (not) trading in 2017 where the administration costs of just standing still was far too high to continue, in the hope of better things. The Foundation took over the liabilities of Bluebird Marine to allow them to cease trading (and dissolve) having reached their goals. We say big thanks all of those who contributed to those important stages, such that we might take up the torch for the next series of hurdles. We might learn from this exercise that without crowd funding, the Foundation would not have a water test tank or a robot laboratory, let alone the welding and fabrication facilities currently enjoyed - but for how long. We ask for your help to allow us to build on what has already been achieved. Crowdfunding is a way to raise money for a cause by collecting donations directly from the public, businesses, and more. By using social media to spread awareness, people can reach more potential donors than traditional forms of fundraising. Before you start crowdfunding you should consider what might be the best platform for your needs. Compare the best online fundraising platform by fees, features, support, and more. GoFundMe is on of the most trusted fundraising platform and the only major crowdfunding platform that does not charge a platform fee on charity and personal fundraisers. GoFundMe puts their users’ success and security above all else, and we are proud to be the leader in trust, support and innovation. JustGiving is one of the the world's most trusted platform for online giving. Their mission is to ensure no great cause goes unfunded. They are proud to have helped people in 164 countries raise over $4.5 billion for good causes since they were founded in 2001. Kickstarter is a site where creative projects raise donation-based funding. These projects can range from new creative products, like an art installation, to a cool watch, to pre-selling a music album. It’s not for businesses, causes, charities, or personal financing needs. Kickstarter is one of the earlier platforms, and has experienced strong growth and many break-out large campaigns in the last few years. While Kickstarter maintains a tighter focus and curates the creative projects approved on its site, Indiegogo approves donation-based fundraising campaigns for most anything - music, hobbyists, personal finance needs, charities and whatever else you could think of (except investment). They have had international growth because of their flexibility, broad approach and their early start in the industry. Rockethub powers donation-based funding for a wide variety of creative projects. What is unique about RocketHub is their FuelPad and LaunchPad programs that help campaign owners and potential promotion and marketing partners connect and collaborate for the success of a campaign. Crowdrise is a place for donation-based funding for Causes and Charities. They’ve attracted a community of do-gooders and and fund all kinds of inspiring causes and needs. A unique Points System on Crowdrise helps track and reveal how much charitable impact members and organizations are making. If you want to build the next new mobile app and are seeking donation-based funding to get things off the ground or growing, then check out appbackr and their niche community for mobile app development. Fundly has raised more than $330M through their versatile, Facebook integrated platform. Fundly, allows individuals and nonprofits to set up fundraising campaigns for nearly any purpose, from medical expenses to startup business costs. Whether you are a novice fundraiser or a seasoned pro, your campaigns can be embedded and easily shared on Facebook. If you’re an inventor, maker, or tinkerer of some kind then Quirky is a place to collaborate and crowdfund for donation-based funding with a community of other like-minded folks. Their site digs deeper into helping the process of bringing an invention or product to life, allowing community participation in the process. Crowdfunder projects come in all shapes and sizes. They've helped over 80,000 individuals, charities, businesses and community projects to raise over £60 million for ideas to change lives and make an impact in their community, making them a number one rewards-based platform in the UK. Invested.in - You might want to create your own crowdfunding community to support donation-based fundraising for a specific group or niche in the market. Invested.in is a Venice, CA based company that is a top name “white label” software provider, giving you the tools to get started and grow your own. Crowdfunding provides the trust, transparency and ties necessary to make global giving both instaneously impactful and where applicable; hyper-local. OUT OF SIGHT - We are only human. Humans think about what they see every day. They only infrequently think about problems they never see, and that is only if they hear about an issue on the radio, listening to music, on television, social media or in a movie. 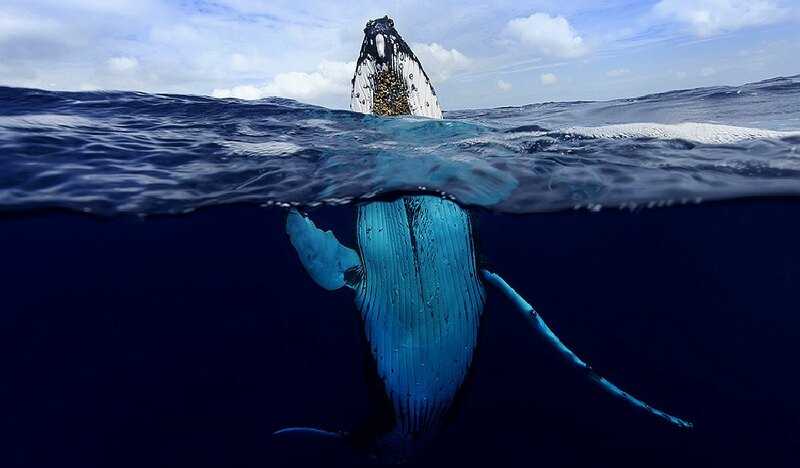 What then of the harm we are doing to the oceans of the world as we flush our waste into the deep. Yes, that's right, we've been killing wildlife wholesale and we will keep on doing so unless the message is spread far and wide. People do care. Once they learn about plastic waste and climate change, they respond. This website is provided on a free basis as a public information service. copyright © Cleaner Oceans Foundation Ltd (COFL) (Company No: 4674774) 2019. Solar Studios, BN271RF, United Kingdom. COFL is a charity without share capital.